And then sometimes we add a new family member who just sits around smiling. He may not say much, and he certainly doesn’t eat much, but he is always here when we need someone to listen to our funny stories, bad jokes, and ridiculous rants and raves. 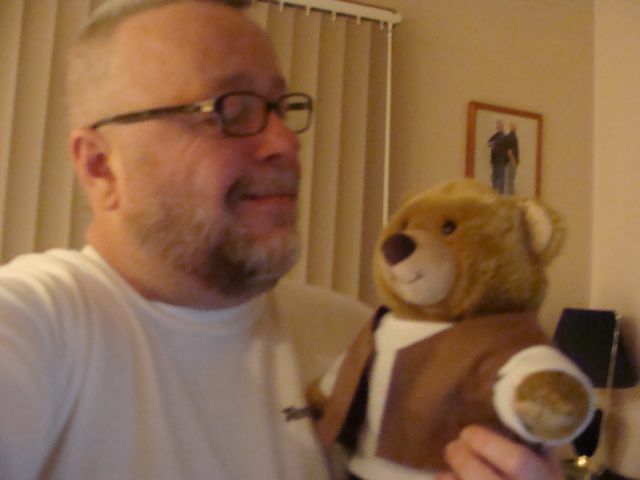 Here is a picture of me (yes, a 49 year old man) with my newest cub…CJ. He was born at the Buffalo Build-A-Bear workshop, but he now resides in Marcy NY. Posted in Friends & Family, Hmmmm..